"Vinous Antonio Galloni" has rated the wine "Valdipiatta Chianti Colli Senesi DOCG, Tuscany, Italy" from the vintage 2013 on 01.03.2016 with 90 of 100 points. "Wine Spectator" has rated the wine "Valdipiatta Chianti Colli Senesi DOCG, Tuscany, Italy" from the vintage 2012 on 15.10.2014 with 89 of 100 points. 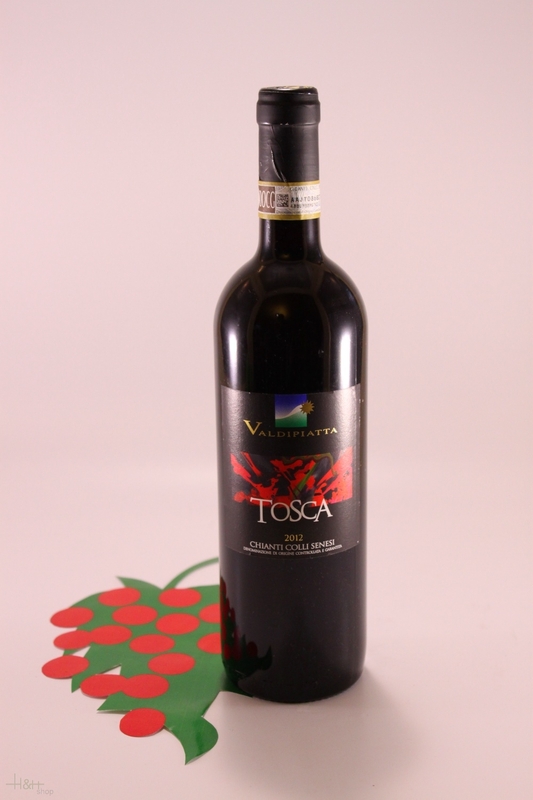 "Wine Enthusiast" has rated the wine "Valdipiatta Chianti Colli Senesi DOCG, Tuscany, Italy" from the vintage 2011 on 10.01.2013 with 87 of 100 points. "Wine Spectator" has rated the wine "Valdipiatta Chianti Colli Senesi DOCG, Tuscany, Italy" from the vintage 2010 on 31.10.2012 with 89 of 100 points. "Vinous Antonio Galloni" has rated the wine "Valdipiatta Chianti Colli Senesi DOCG, Tuscany, Italy" from the vintage 2009 on 01.06.2012 with 87 of 100 points. Suggestions with food: A fine apéritif, very good match for a wide variety of dishes ranging hors d'oeuvres to pasta and white meat to cold cuts and fish.